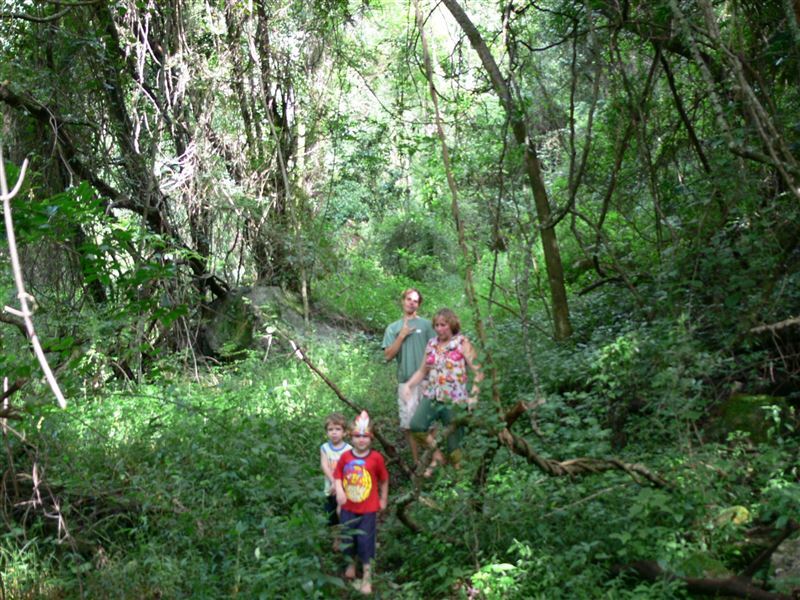 Magoebaskloof Camping Sites and Caravan Sites provide a welcome stopover for travelers and holiday makers. 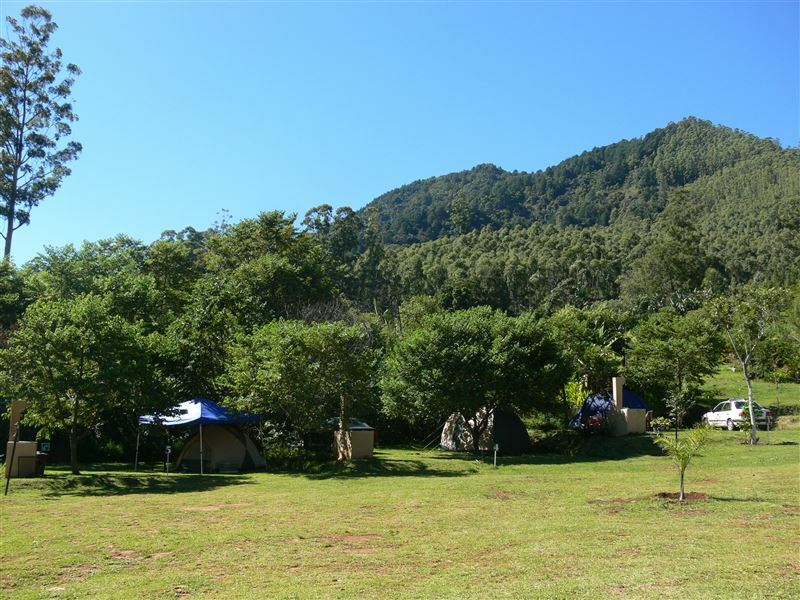 The camp is set in an oasis of peace and tranquillity, a place where one is able to unwind and enjoy the lush subtropical vegetation, the magic of fresh running water, and cool mountain air.<br /><br />Magoebaskloof Camping Sites are serenely situated in the scenic mountainous setting of Magoebaskloof in the Limpopo Province near Haenertsburg and Tzaneen; less than a three hour drive from Pretoria. 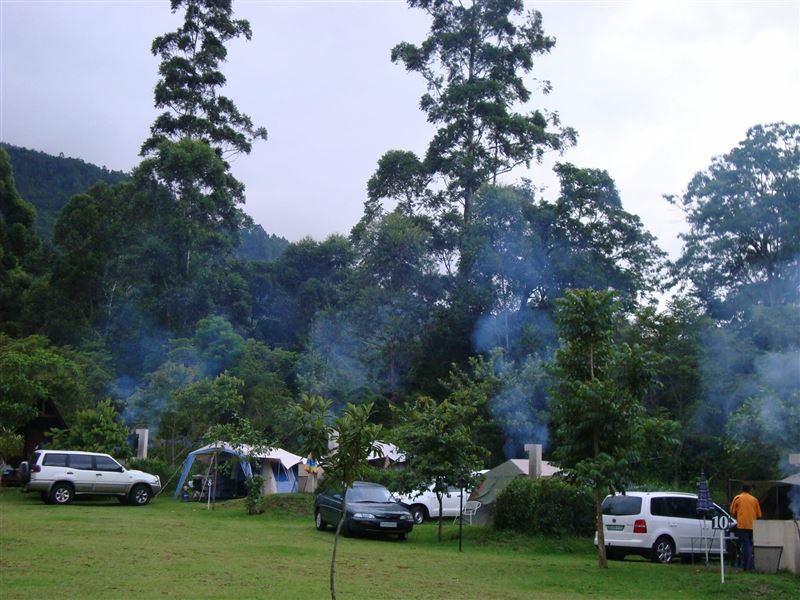 <br /><br />You are at liberty to wander throughout the area, through the forests and along the river while enjoying and experiencing the call of the prolific bird life in a peaceful environment and maybe even seeing the protected and rare Samango monkeys.<br /><br />There are 10 camping sites on this beautiful 64 hectare farm with about 4 hectares of gardens and 1.5 hectares of dams. 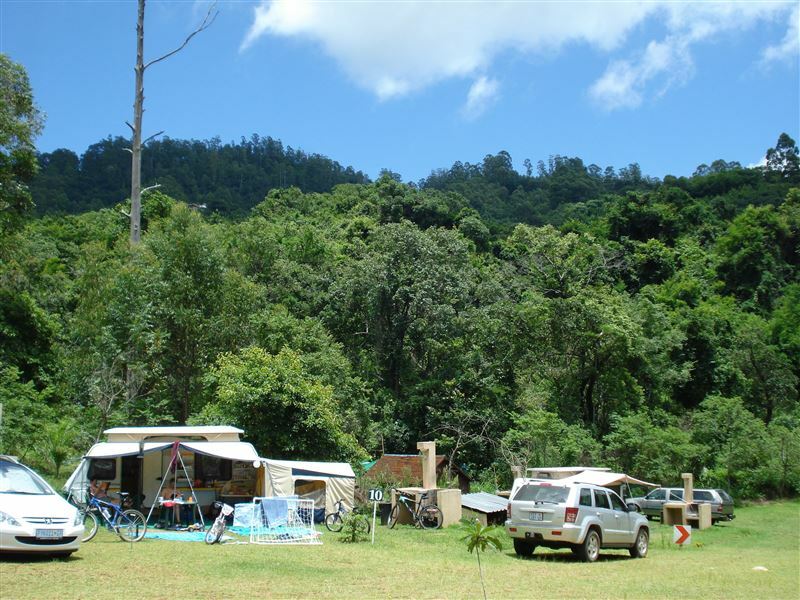 Each campsite is about 10m x 10m, clearly demarcated by drainage and clearly numbered. Each site has its own braai area with a light that can be switched on and off by yourself so that you can see your meat and what you are doing on the braai table. Underneath the braai table is a spot where you can put your braai wood or charcoal and big-black dustpan right next door.<br /><br />Each site has socket outlets that are protected by a 15 amp circuit breaker with an earth leakage, as required by law. 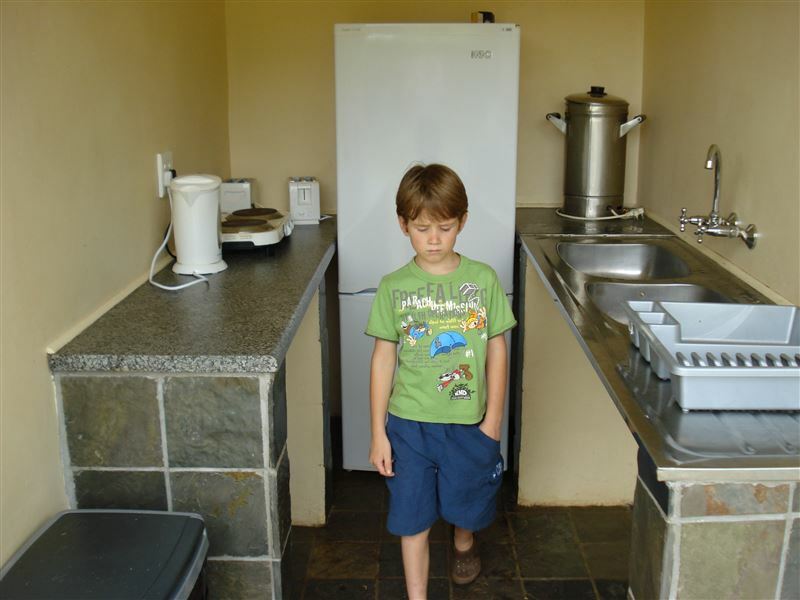 Each site also has its own tap for drinking water, but not for washing oily items as that is what the kitchen is for. The camping area is lit up with lights at about every second site making it a little more homely and visible. <br /><br />The female section of the ablution facilities has a shower with a glass pivot door and a changing area and two toilets. The basins are modern with mirrors above each basin and a water tight plug point with a mirror just above the plug. 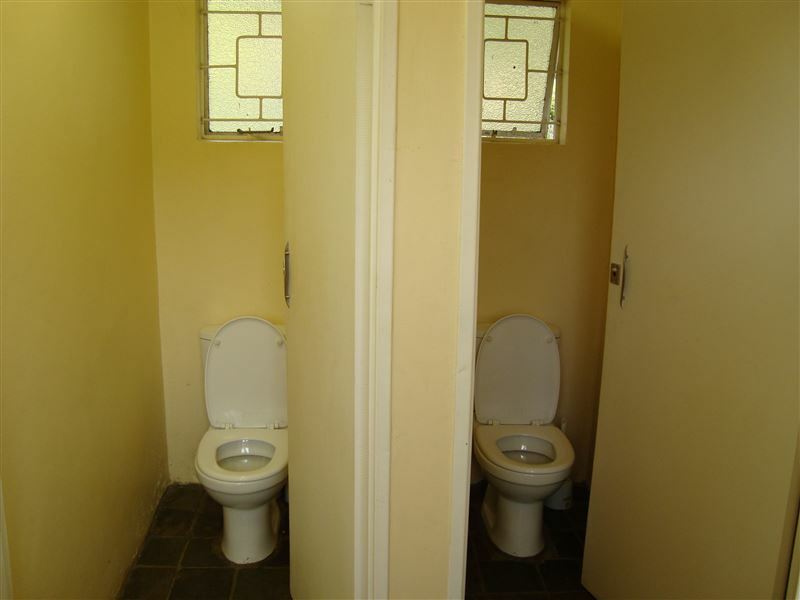 The males section is exactly the same as above except that there is a urinal included. 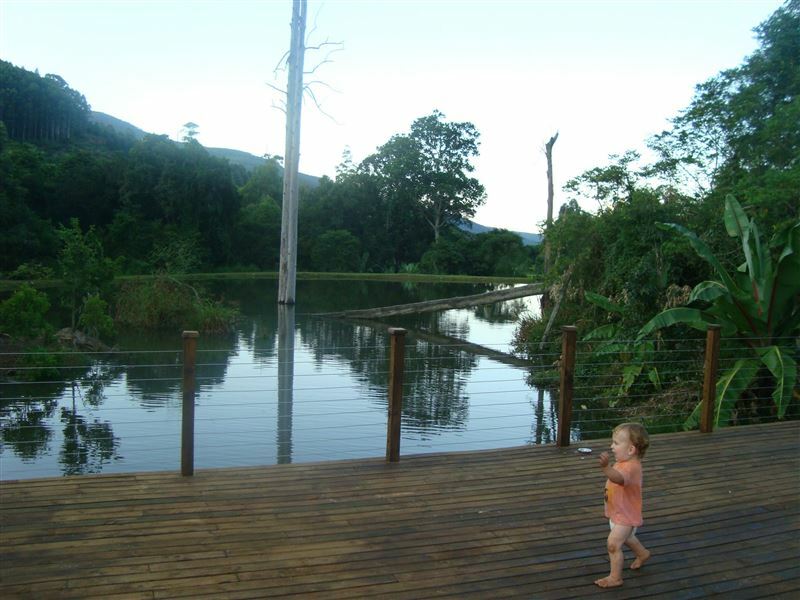 All the floors in the ablution block and kitchen are tiled with black slate tiles.<br /><br />There is also a volley ball court and a beautiful hiking trail with three beautiful waterfalls. 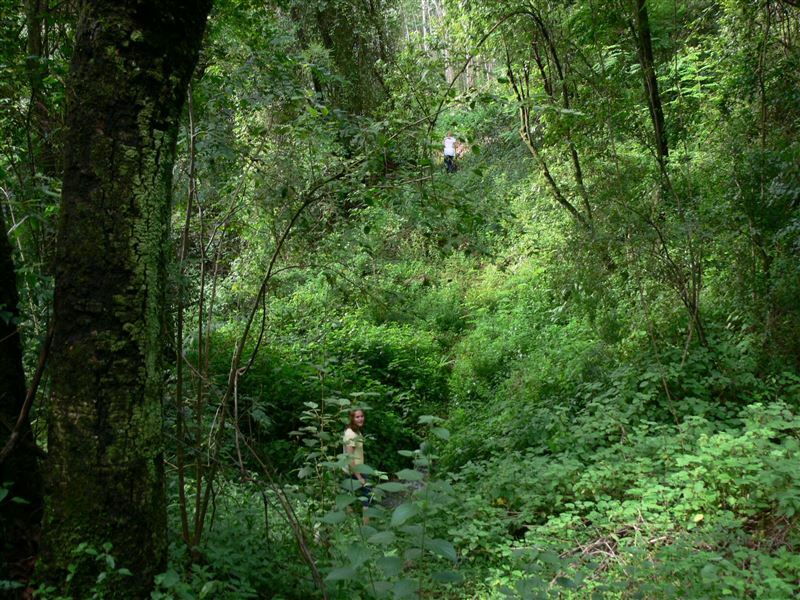 The hiking trail goes to the top of the farm alongside a perennial stream, but is extremely steep. 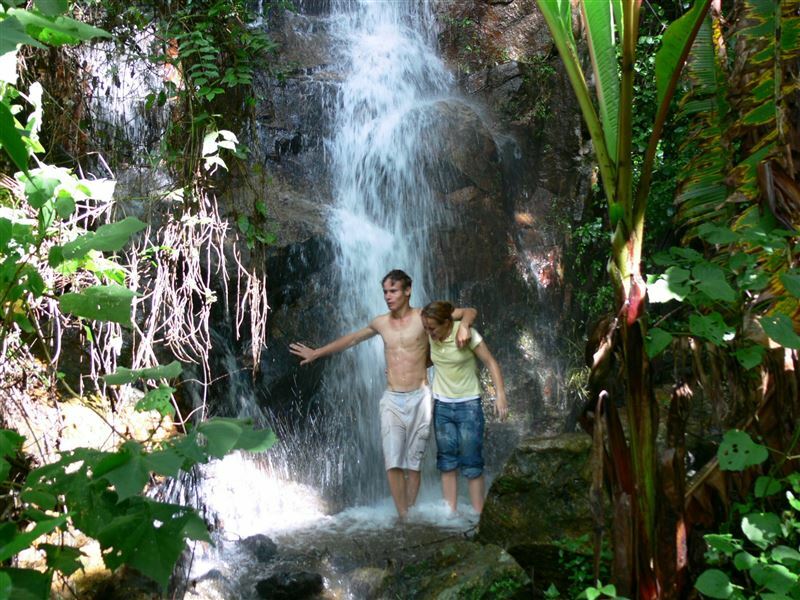 While on your way up you can have a shower under the waterfall in crystal clean spring water or experience what it is like to be Tarzan in the jungle while swinging on the monkey ropes.<br /><br />Come on and experience nature at its best treat, you deserve it. "My wife and I spent a long weekend here. The absolutely most beautiful setting and views!! Two lakes and glorious views of the mountains and forests - took some of the best sunset photo&apos;s ever!If you want peace and quiet on a breakaway, this is it! !The access road however is quite bad and steep down the mountain, so some-onetowing a big caravan with a sedan might have a bit of a tussle.The only real "negative" for us was the limited ablutions... Only one shower in each of the gents/ladies ablutions as the only facilities was way too few serving a nearly full camp. With thus nearly 50 people in camp, the limited facilities caused quite an interesting queuing and rushing situation! "